It is free printable time! 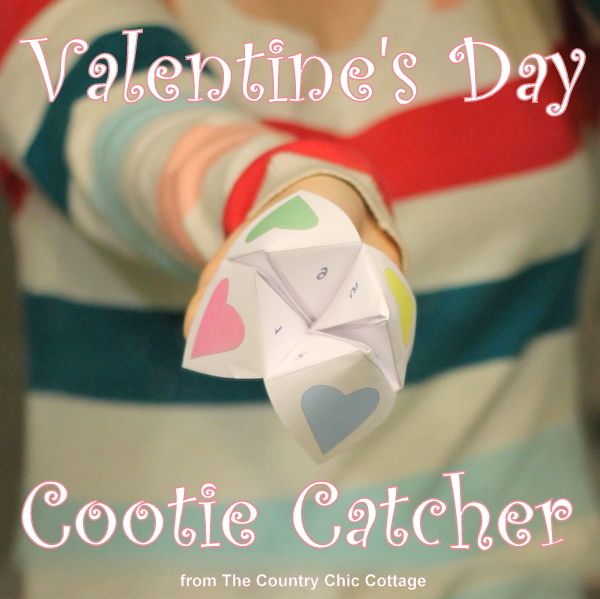 I make a Valentine’s Day cootie catcher that is sure to put a smile on your child’s face. What? You don’t know what a cootie catcher is? Well let me explain…. Maybe now you remember just from the pictures? I think we all used to play with them as kids. Maybe you have heard it called a fortune teller. For this version you would pick a color heart. 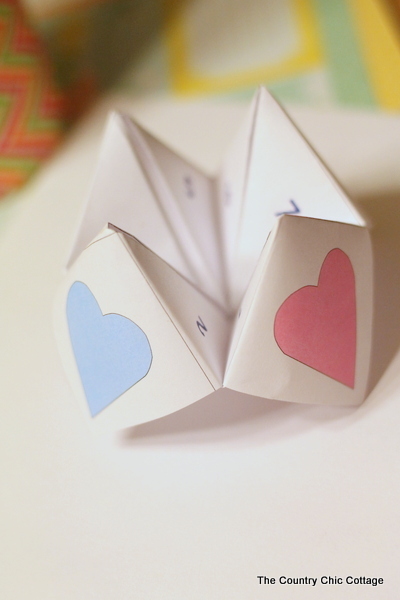 Then spell it while going back and forth with the cootie catcher. Next pick a number. Again go back and forth but this time while counting. Then pick a number one more time. Lift that number flap and read what is inside. Okay that doesn’t sound like much fun but kids love these things! Head over and get your free printable version here and you can print a few or a bunch. 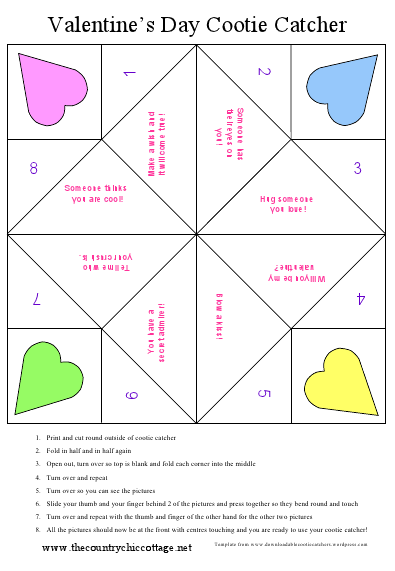 There are folding instructions on the bottom but if you have trouble there is also a great description over on wikipedia (yes cootie catchers are even on wikipedia). I hope you and your kids enjoy this one! next post: Where I am this week! This is too cute. Just popping by to let you know I included your project in my “10 cute printable valentines for kids” round up on Creative Green Living.